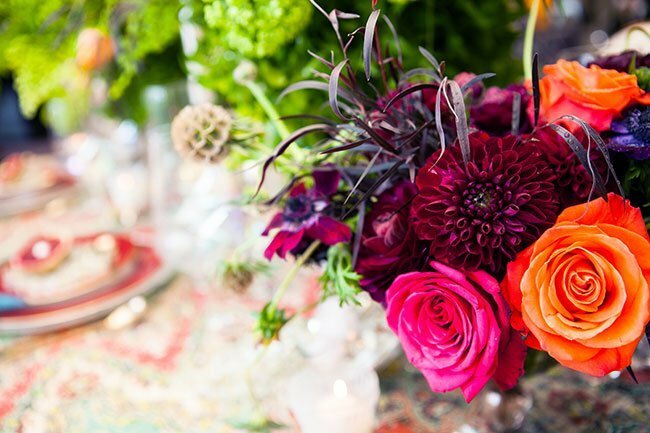 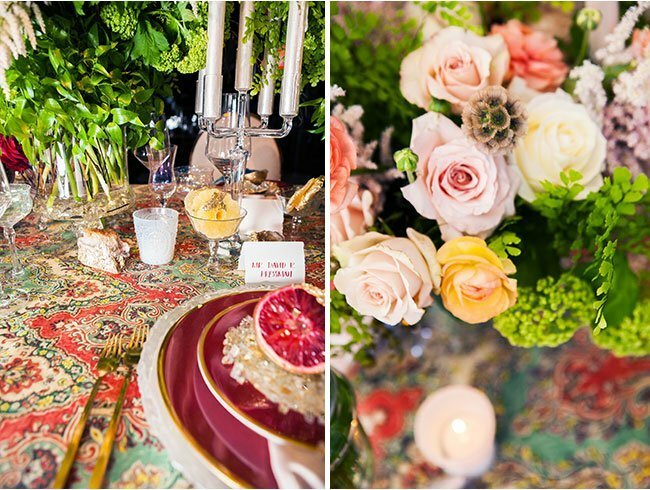 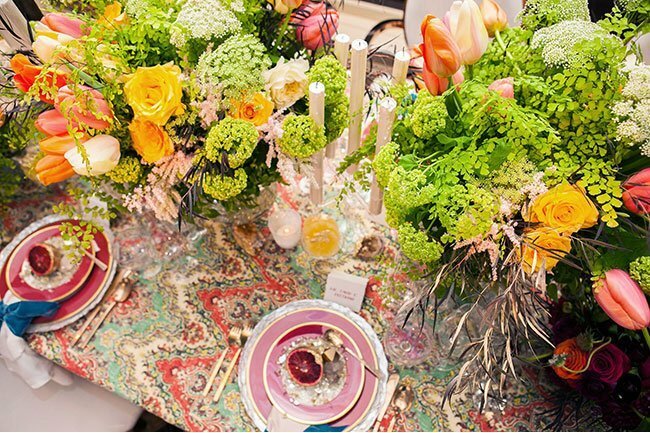 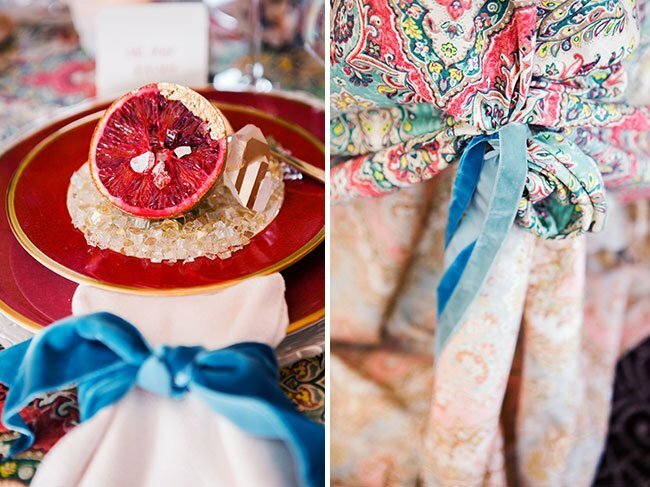 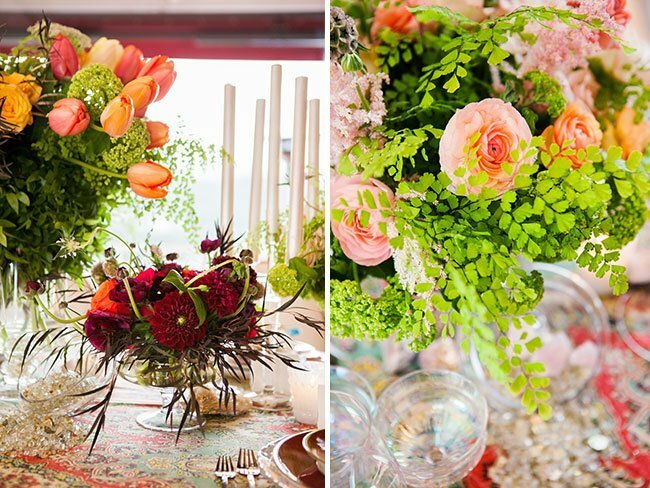 Boho Inspired Tabletop is Pure Summer Decadence! 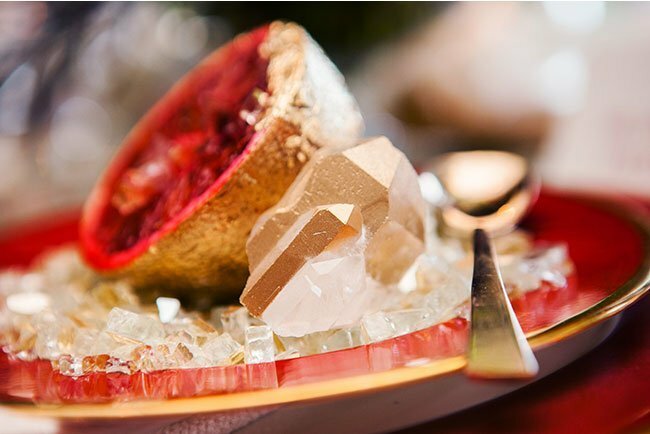 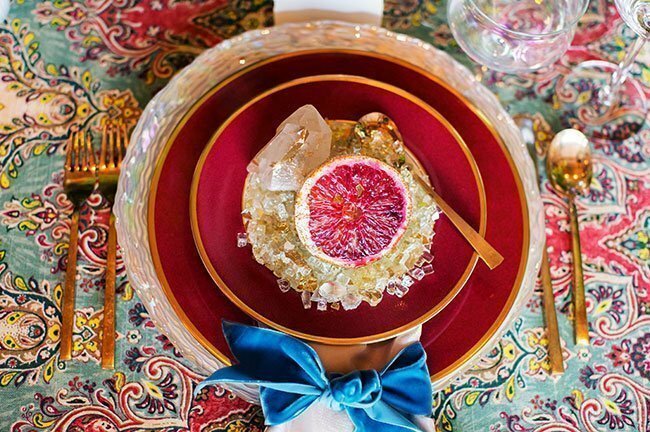 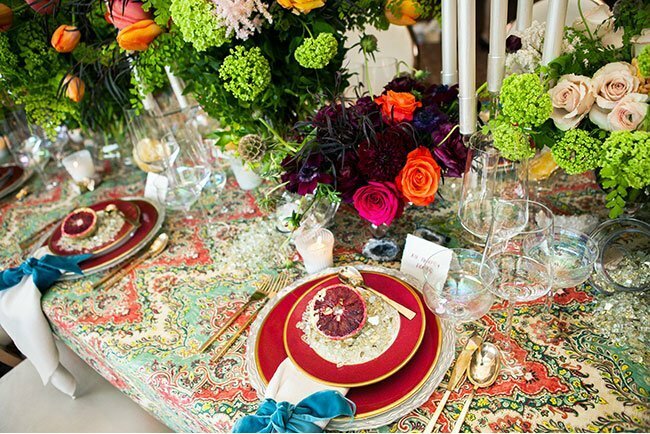 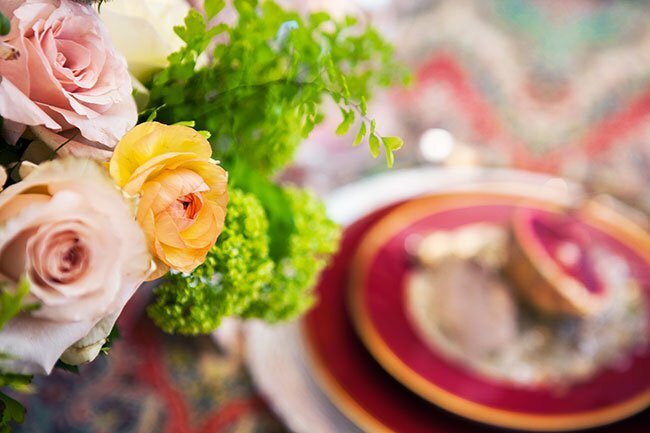 Gold leafed forbidden fruits, rich color, bold china, overflowing floral, iridescent candlesticks and chargers, and crystalized earth elements come together to create a truly decadent boho tabletop! 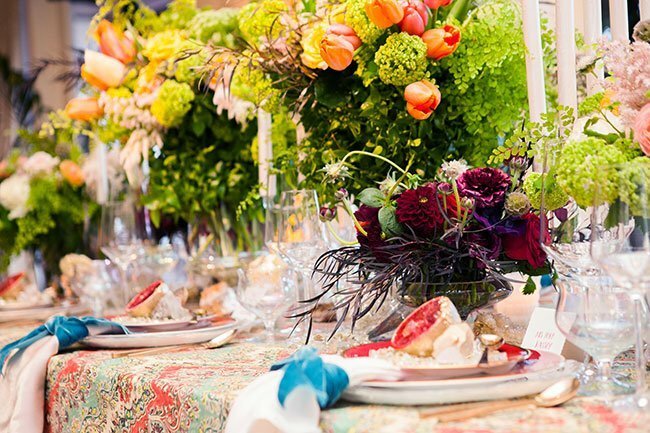 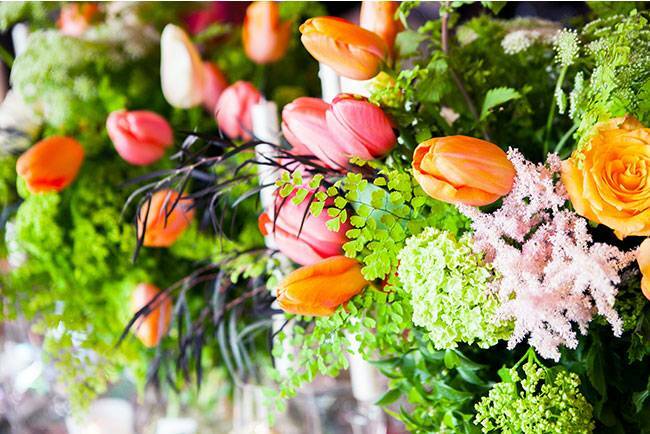 If there is one piece of advice that we can share with any of our clients and brides, it's to hire a team of professionals who will not only understand your vision, but who will turn it up a few notches, in order to really drive that vision home. 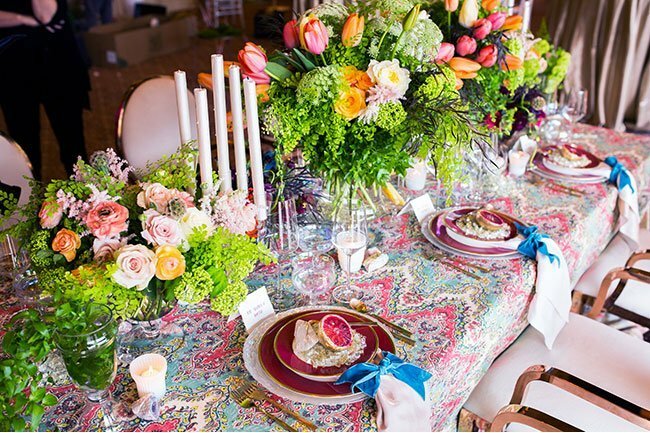 In this particular case, we had the honor of teaming up with the talented David Pressman of David Pressman Events, in a collaboration celebrating the launch of Luxe Linen's 2015 line. 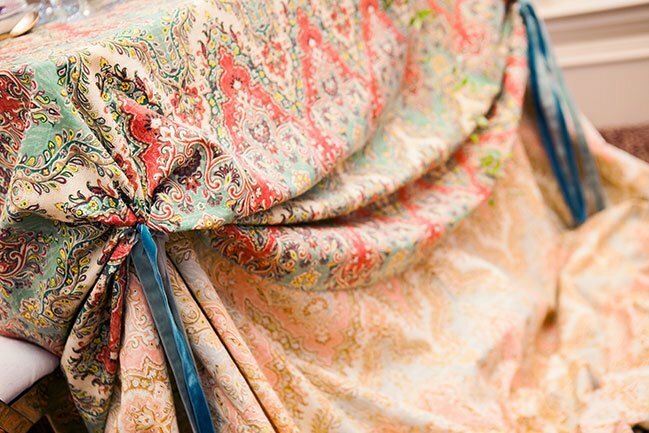 Our vision began with the Palace Sari collection of linens, gorgeously reminiscent of ancient India. 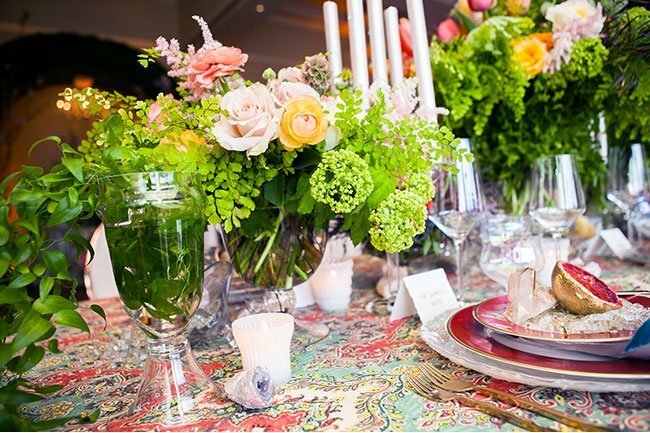 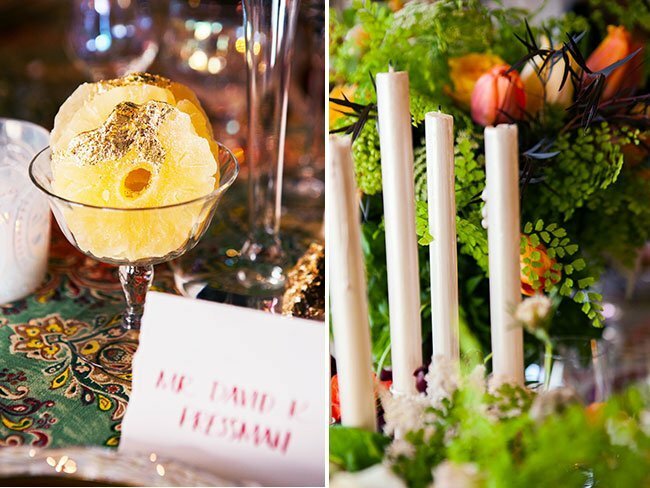 By adding in contemporary elements in the floral, candleabras, and glassware, we were able to encapsulate a Garden of Eden-esque luxury, with a contemporary bohemian vibe!